As a leading financial services centre, Jersey’s business activities are under constant scrutiny. In order to uphold the high standards of governance, risk and compliance that have been set for businesses on the island, governance professionals must remain ever vigilant. Designed specifically for company secretaries and governance leaders, this year’s conference has a theme of ‘building board resilience’. It highlights the importance of effective boards that are fit for the future and can champion good governance practices, not just among the Crown Dependencies, but on the global stage. Delegates will benefit from practical workshops and expert input on a number of topics including: anti-money laundering, reporting, board dynamics and emerging technology. In the last year, The Jersey Financial Services Commission have overseen a consultation on the Codes and Practice and issued guidance on integrity and competence. This session will provide delegates with an update on the work of the Commission, and give them a chance to discuss the likely developments in the year ahead. Jersey needs a comprehensive financial intelligence regime that meets and upholds international standards. Whilst the island has received praise for its work in these areas, there are always developing threats, and new ways of covering up financial malpractice and money laundering. Our speaker will take the opportunity to analyse the latest developments and discuss what best practice looks like in preventing financial crime. In this session, we will look at the latest developments from ICSA and recap the influential work that the Institute has carried out in its support of governance professionals. Last year the UK Government invited ICSA to research and recommend ways of improving the quality of board evaluations. One aspect of this will be the development of a code of practice for external board evaluation. Here, we will receive an update on ICSA’s work and delegates will have the opportunity to share their own thoughts on a new code of practice. The quality of decisions made by the board are directly related to the quality of the information they have available to them, and this is often impacted by the size and resources of the organisation. Looking at the ICSA and Board Intelligence guidance on Effective Board Reporting, delegates will discuss how best to improve the quality of the information received by the board and the role of governance professionals in board information management. Conflict in the boardroom does not necessarily result in bad decisions being made, nor does a harmonious boardroom always equate to good decision making. Maintaining a workable dynamic that balances individual personalities, and allows for challenge and healthy tension is key to having an effective board. Here, we will look at the characteristics that make for a healthy board and what needs to considered when trying to improve board dynamics. Coaching methodologies can be used to develop a high-performing Company Secretariat team, to set and achieve personal work goals, or to structure difficult conversations with colleagues and managers. In this practical workshop, we discuss the benefits of coaching techniques and explore how governance professionals can apply these in their personal lives and in their interactions with the board. Technology is reshaping sectors and transforming how businesses operate. It is important that boards are not just embracing change, but are acquiring the expertise to lead it, enabling themselves to create strategies that will ensure long-term business success. Here, we will consider the risks and opportunities presented by emerging technologies and their impact on the role of governance professionals. David practised as a self-employed English barrister for nearly 10 years before returning to Jersey in 2000 and becoming a partner of Bedell Cristin in 2005. He was MLRO for Bedell Group for 10 years (and is the author of the Jersey chapter of the International Guide to Money Laundering Law and Practice). He is now Global Managing Partner of Bedell Cristin. In terms of his practice, he is a litigator with a proven track record, delivering results in challenging, complex, high-value cases, through innovative commercial strategies often involving technology and electronic data. He is also an Accredited Mediator, Advocacy Trainer and Crown Advocate and is highly regarded for his court-room skills. Recent cases have involved trust and estates, funds, fraud, insolvency, competition law, proceeds of crime, money laundering and other regulatory issues. Sara studied law at the University of Cambridge and has spent much of her career working in the media sector for both publishing and television companies and as a writers’ agent. In recent years she has worked with professional bodies in the built environment and construction sectors as managing director of the Homebuilders Federation and the Royal Town Planning Institute. She was appointed Chief Executive of the Association for Project Management in 2015 which was awarded a royal charter in 2016 and launched its new chartered standard for the profession in 2018. Sara is an Hon.  Fellow of Kingston University, a board member of the Quality Assurance Agency and holds non-executive directorships in the private and charity sectors. Nasri has almost 10 years’ experience within the financial market sector having started his career with Bloomberg focusing on Banks and Asset Managers. At Board Intelligence his focus is on helping Service Providers, Funds and Asset Managers deliver efficiency savings and enhanced experiences for the clients and boards they service. Nasri has works with clients across The Channel Islands, Luxembourg, Mauritius and the Caribbean. Since becoming an Associate of the Institute of Chartered Secretaries and Administrators in 1997 Robert has successfully combined the knowledge gained in qualifying with his experience in Information Technology to service the business needs of the offshore finance industry. Until December 2014 he was a shareholder and CEO of Unity Software Limited, a successful software development company which provided solutions to companies in 15 global offshore jurisdictions. Following the sale of the company to a UK Plc Robert joined Moore Stephens in Jersey were his role as company secretary requires him to service the needs of a network of in-house companies. Robert has been Chairman of the Jersey branch since 2014 and became a Fellow of the Institute in 2016. An accomplished financial services regulator with extensive international experience, Martin has a track-record of developing and influencing European and global regulatory policies, as well as managing operational change. Prior to joining the JFSC, Martin served for 16 years at the Central Bank of Ireland, where he worked as Special Adviser on Risk and Regulation. Before that he headed up the Markets Policy, Markets Supervision and Legal and Finance divisions respectively. Martin is a member of the Board of the International Organization of Securities Commissions (IOSCO) and he is an alternate member of the European Securities and Markets Authority (ESMA), as well as Chair of the latter’s Investment Management Standing Committee. He has been Chair of the European Systemic Risk Board’s Expert Group on Investment Funds and has represented Ireland on the EU Committee of Securities Regulators. Prior to joining the CBI, Martin worked for brief periods in the Department of Justice and the Irish Competition Authority, and spent ten years working in the Irish Department of Finance in positions of responsibility in relation to both national and semi-State debt management and the sale of State banks. Martin spent his early career working in Industry at Barclays Bank and the Bank of Ireland in London. Martin has an LLM in Business Law and a Masters qualification in Economic Policy, both from Trinity College Dublin. He has Postgraduate Diplomas in Arbitration, Regulatory Management and has completed professional examinations of the Chartered Institutes of Bankers and the Chartered Institute of Arbitrators. Simon Osborne is Chief Executive and a Fellow of ICSA. He qualified first as a solicitor in 1973.Before taking up his current role, Simon was a freelance governance consultant. In that capacity he acted as the Joint Head of ICSA Board Evaluation, working with companies, UK regulators and other organisations. Until April 2003 Simon’s career was in the British railway industry as general counsel, company secretary and latterly as main board executive director. Simon is a past chairman of ICSA’s Company Secretaries Forum, which comprises mainly company secretaries from mainly FTSE 350 companies. He is a member of the International Corporate Governance Network and chairs its Bylaws & Procedures Committee. He is a NED of two small media companies and deputy chair of a charity. Duncan Smith is the founder and CEO of specialist compliance consultancy iCompli®, advising clients across Europe and the US. An industry expert in information law and privacy, he has been ensuring organisations have the skill, knowledge and foresight to build compliance strategies since 2004. The ‘go to’ person for developing many of the UK’s industry lead-body training courses, he has guided SMEs, PLCs and multi-nationals on both the strategic and tactical requirements for GDPR, ePrivacy, Financial Services and consumer protection compliance. A recent panellist and speaker in Riga with the Latvian Government, Duncan is an engaging and forward-thinking speaker who will help us to look ‘over the horizon’ at the risks and opportunities ahead. Lesley has recently joined ICSA as Branch Liaison and Mentoring Manager. In this role she is the key contact for ICSA’s UK Branches and leads the ICSA mentoring programme. She is a Chartered Company Secretary with over 15 years’ experience as well as an accredited coach, specialising in working with Governance Professionals. Through the ICSA mentoring programme and her coaching she is passionate in helping governance professionals to thrive and excel in their roles. BPP has been preparing students for the examinations of professional bodies for over 35 years. In the Channel Islands, BPP is ICSA’s Preferred Tuition Partner and we offer ‘face to face’ and ‘online recorded’ courses for IFA Level 4, 5 and CSQS plus ‘online live’ lecture courses for CSQS. Our award winning ‘online live’ courses allow students to attend scheduled lectures wherever they are located, and has proved incredibly successful as an alternative to our face to face classes. Our ‘online recorded’ study method utilises pre-recorded lectures which students have access to 24/7, right up until the day of their exam. The lectures have been recorded by our experienced team of tutors and are supported by our excellent study materials which include a study text, course notes, practice and revision kit and programmed mock exams. We also offer lifetime pass assurance which means that in the event of a student not passing their exam, they can re-sit their course, for free, until they pass. Cygnetise is a decentralised digital platform built on the blockchain that solves the pain of managing Authorised Signatory Lists. We help you increase control of your data and reduce the risk of fraud for your organisation. Our user friendly blockchain application reduces distribution costs and dependency on resources, while helping you maintain your Authorised Signatory Lists in a secure and efficient way. Currently used across the following jurisdictions: Jersey, Guernsey, UK, Luxembourg, Dublin, Cayman, BVI, Germany, Hong Kong. Cygnetise offers efficiencies for firms however many lists they are managing - from a handful to hundreds. You are on the “Jersey Annual Conference 2019 ” page.